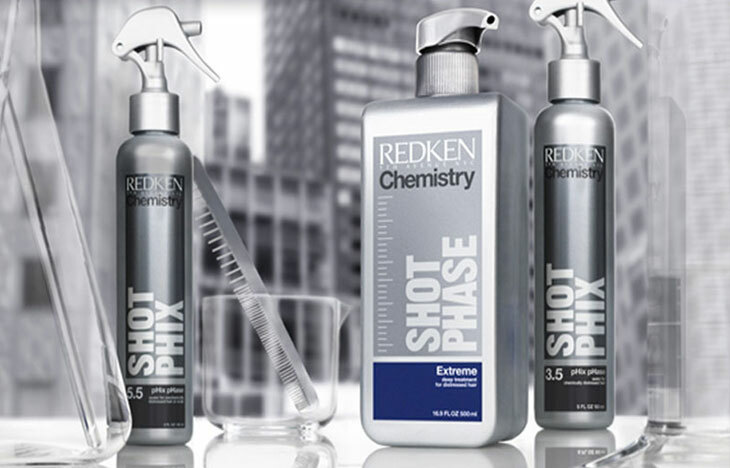 Built on a strong foundation of protein and moisture, Redken Chemistry is a comprehensive system of products that provides customized services to treat and transform all hair types. Each service offers intense care through highly concentrated ingredients that act in synergy with a pH sealer. Through an array of in-salon services and coordinating take- home regimens you will experience a dramatic improvement in the health and condition of their hair.